Kardashian was nowhere to be seen during the shocking outing. Kanye West continues to defy his doctors! Not long after insiders told RadarOnline.com that he refused to stay home and rest following his shock hospitalization, the rapper jetted across the country to NYC! 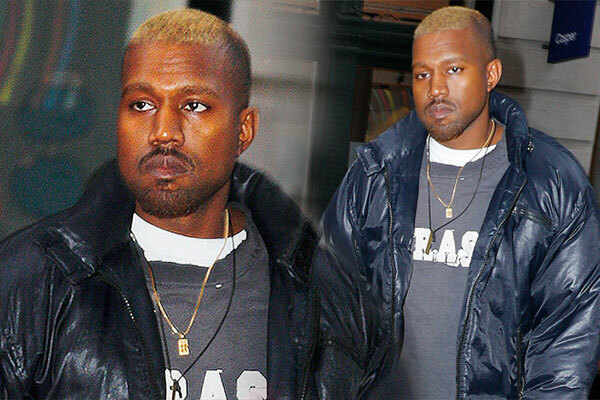 Kanye West looks healthy and relaxed as he is seen SoHo with bleached hair in New York. West, 39, was seen looking serious on the streets of SOHO on December 12. As Radar reported, insiders claimed his doctors had ordered him to stay home and rest when he left the hospital on November 30. But on November 8, he was spotted checking out the Rick Owens furniture exhibit at LA MOCA, sporting newly bleached hair. And he had the same 'do (or don't?) in New York. Kardashian, 6, and their children North, 3, and Saint, 1, were missing amid reports their marriage has struggled to bear the stress of his mental breakdown, which happened on November 21. Before his meltdown at trainer Harley Pasternak's LA home, West had been comforting Kardashian, who suffered her own crisis on October 3, when she was robbed at gunpoint in Paris. West and Kardashian have reportedly been living apart since he was released from UCLA Medical Center. He had been placed on a 5150 psychiatric hold, meaning doctors considered him a danger to himself and/or others. Do you like Kanye West's new look? Let us know in the comments!